﻿ Razor Wire - Wire Mesh Fence - Anping County Zhuoda Hardware Mesh Co., Ltd.
Razor wire is a high security fence system, designed to prevent intrusion along perimeter barriers. 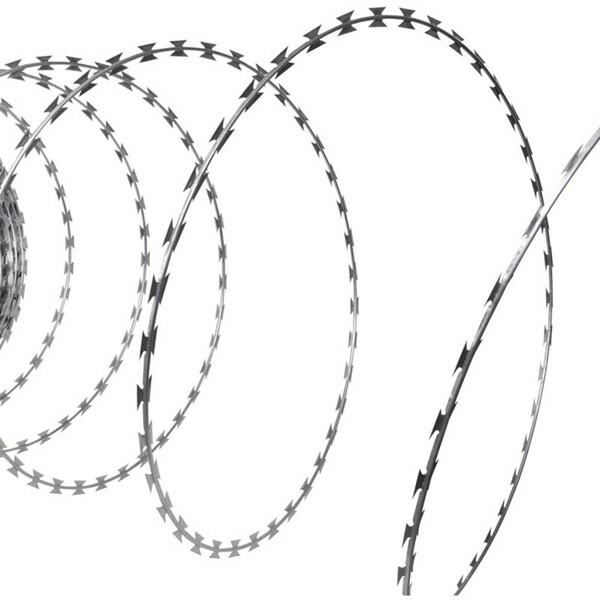 Razor wire is fabricated from galvanized or stainless steel and high tensile wire, which is impossible to cut off with standard tools. It is the most effective guard and the best obstruction for surroundings safety. The sharp blades shall scare the invaders. It is suitable for military zone, prison, villa, school etc. Also, it is easy to install and apply to road obstruction, fence enclosing, wall, that will bring the best guarding function to you at lower cost.